How much money is Whitney Houston worth? 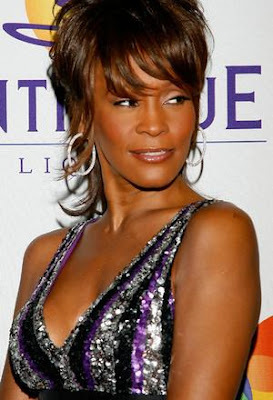 Whitney Houston is an American singer and actress, known for her self-titled album as well as her role in the movie Waiting to Exhale and The Preacher's Wife, her net worth is $10 Million. 9 Response to " Whitney Houston Net Worth "
10 million people. What the heck 10 million is not 10 peanuts. All her "Problems" really took thier toll I guess. She was supposedly one of the highest earners for many years at the beginning of her career. She probably got paid more than that for one of the movies she did. According to leaked financial reports, she made $250 million over the span of her career and died with only $2.2 million dollars in real estate holdings. My parents own more than that! This is not it. she had money in UK accounts. At least this sihgt has her having money. One has her 20 million in debt. She wouldn't have been able to get a burger on credit if she had all theat debt.